If you have been seriously injured or lost a loved one in an auto accident caused by a drunk driver, you have the right to compensation. Under California law, drunk drivers can be held legally accountable and required to pay money damages to the victims of their recklessness. 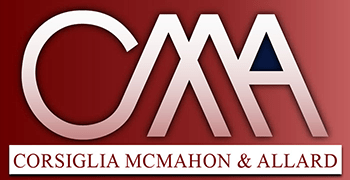 At the law firm of Corsiglia McMahon & Allard, L.L.P., in San Jose, we represent clients throughout Northern California in drunk driving accident cases. Contact us today for a free consultation with an experienced personal injury trial lawyer. You will pay nothing unless we win your case. Call our San Jose attorneys at (408) 289-1417.
Notable Case Result: $1.4 million judgment against a drunk driver who struck down and seriously injured a young boy who was walking on a sidewalk with his mother, sister, and brother. In 1979, in the case of Taylor v. Superior Court, the Supreme Court of California upheld that people who drive drunk consciously disregard the safety of others and can be held liable for punitive damages, in addition to normal personal injury damages, when they cause accidents. This means that if the prosecution can prove that the driver who hit you was under the influence of alcohol or drugs (DUI), it may be possible to get more compensation for your injuries. In addition, juries tend to have negative attitudes toward defendants who have been shown to be guilty of drunk driving. Auto insurance companies are aware of this fact, so they are often anxious to avoid going to trial for car accident claims involving drunk drivers. Our attorneys are experienced in pursuing fair compensation for the victims of drunk driving accidents. If the person who caused your accident was driving drunk, we can use police reports, witness statements, and expert testimony to establish that fact. Do not let the drunk driver who hit you get away with his or her reckless behavior. 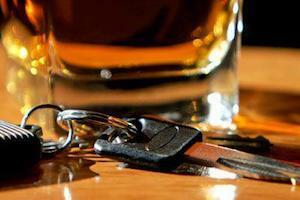 Contact us to discuss what our San Jose drunk driver accident attorneys. We are recognized nationwide for our dedication to providing quality legal services and will hold the guilty party accountable. Call (408) 289-1417 immediately.